Love twinning? 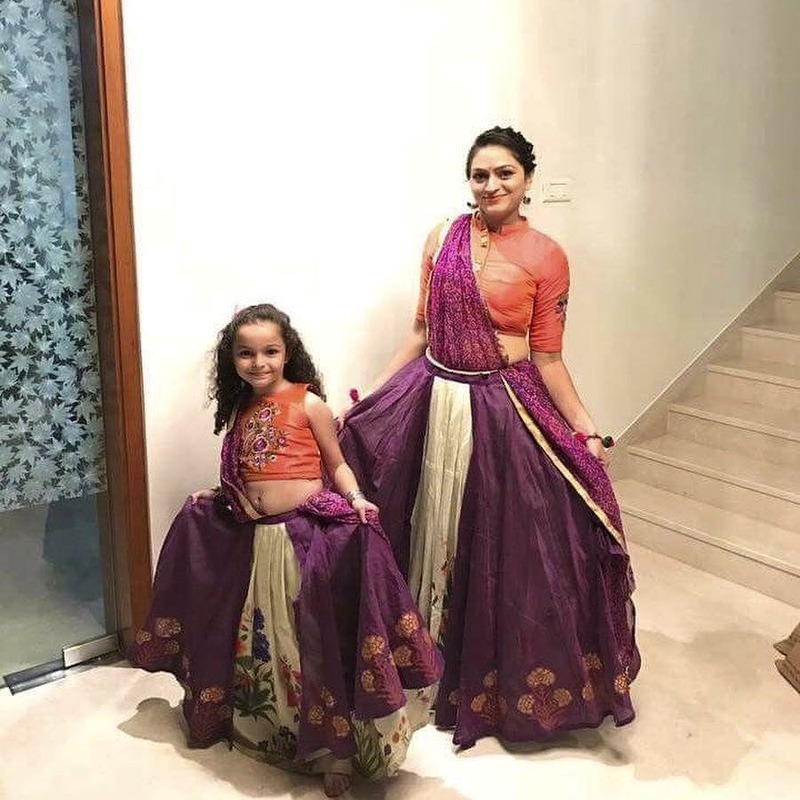 Head to Swathi's Boutique in Malleshwaram to shop for matching lehengas to pair with your BFF, or mom-and-daughter gowns to match with your little one at the next wedding you attend. It seems like twinning with your baby is a new trend, and a particularly cute one at that! If you're keen on dressing up your mini-you in outfits that are either similar or exactly the same as your own, just head to Swathi's Boutique in Malleshwaram. Started in 2016, the boutique features an impressive range of sarees, lehengas, gowns and frocks, so you can go to the next naming ceremony or kids' birthday party wearing coordinated couture outfits (thank us later!). Some of our favourite pieces were their gowns and designer saree blouses. Styled by Bhargavi Chandrashekhar (the in-house designer), the Hollywood-style gowns look like they’re straight out of a fairy tale, whereas the blouses are truly a sight to behold with zari, chikankari and Swarovski stone embroidery. We loved the tassel sarees too - they make for that perfect festive look! For that adorable matching look with your little one, we recommend choosing a dress material from the store (you can also bring your own dress material) and getting a cute little frock made for her using that same fabric. They have bridal lehengas too, that you can get in sets of different colours, so you can match with your BFF at the next wedding and up the swag of #teambride. Prices start from INR 5,000 for their designer wear, and can go up depending on the kind of fabrics used, the embroidery and the number of pieces you custom-order. Orders can take up to 4 days to be ready, so make sure to plan your outfit in advance.